Remastered, deluxe edition includes 20-page booklet with photos, flyers, lyrics, and a retrospective interview with the band. 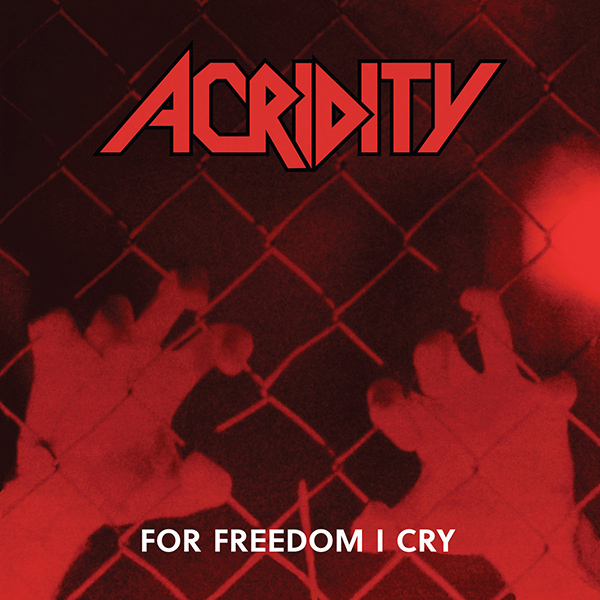 ACRIDITY got its start in Victoria, TX in 1986, and by the end of the year had solidified a still-teenaged lineup consisting of guitarists Anthony Pedone and Mel Langenberg, Mark Cox (bass), Mark Soto (drums), and frontman Darin Carroll. Combining passions for no-frills, heavy-or-die thrash as well as the sounds of the NWOBHM, the group set out to manifest its own brand of complicated thrash riffs, melodic overtones, and extended song structures—developed in parallel with their influences such as Metallica, Testament, Kreator, and Destruction. Since that time, For Freedom I Cry has become an extremely sought-after collectible—routinely fetching well over $100 on CD—so nearly three decades later, Divebomb Records is delighted to collect ACRIDITY's complete discography amidst this deluxe reissue of For Freedom I Cry.